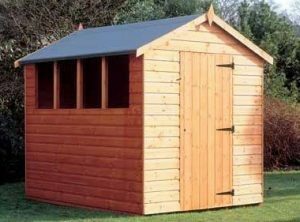 The Super Apex shed has a superior grade of tongue and groove shiplap cladding. The cladding, emphasising rigidity and security, comprises of a high quality selected European softwoods, protected with a red cedar water based treatment. 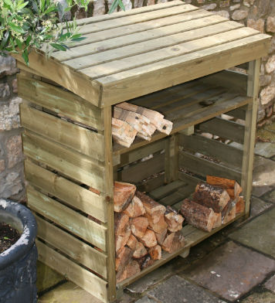 This makes the Super Apex shed an excellent product, providing an ideal storage space. The roof of the Super Apex shed is covered with a layer of heavy duty green mineral felt for further protection. Internally, the ultra strong rounded four corner framework provides additional structure and strength to the overall garden shed. Another major benefit of the apex style is its increased internal height. The Super Apex shed has windows that are supplied and with the design of the Super Apex they can be positioned on either side of the shed. The large well braced single door on the shed’s gable end provides access to store large outdoor products such as barbeques and bicycles. 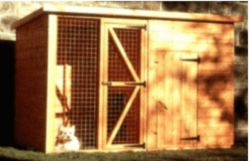 This door incorporates a high security lock and key system, which is supplied free with shed. 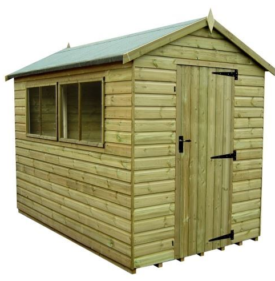 The Super Apex shed is clad with a high grade 12mm finish shiplap tongue and groove cladding. The shed features heavyweight ‘rounded 4 corner’ 28mmx44mm finish framework throughout giving it the strength to last. The floor and roof are thick tongue and groove boards and not cheap sheet material like chipboard. The Super Apex should be treated with a preservative at least 6 months after being installed.